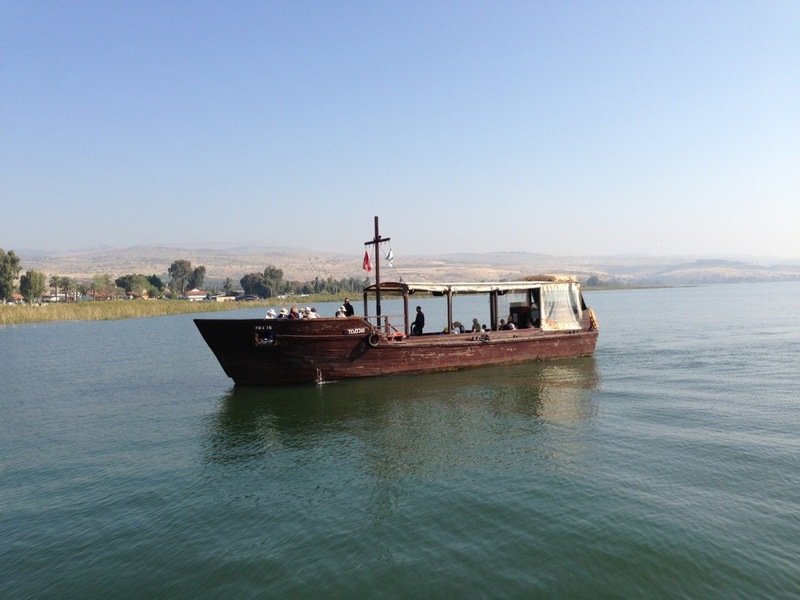 We took a boat ride on the Sea of Galilee. In the middle of the sea they cut the engines and we got to experience the calmness of the sea and had a better idea of what life would have been like 2,000 years ago. One of the men who owned the boat put on something like a first century garment and cast a fishing net over the side. He caught nothing (surprise, surprise in the middle of the sea in broad daylight). He then cast on the other side. Nothing again. Of course it was all for show, but was a neat illustration of what first century fishing would have been like. It would have been a bit of work. As a side note, no one from our group managed to walk on the water.